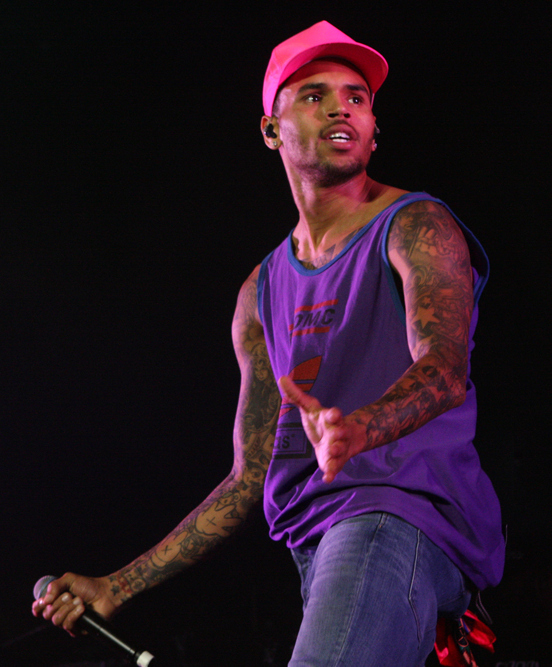 American singer, actor and dancer Chris Brown was born on May 5, 1989 in Tappahannock, Virginia. In 2004, after signing with Jive Records, Brown released his self-titled debut album. The album reached the second spot on the US Billboard 200 and reached double-platinum status. His first single “Run It!” reached the top of the Billboard Hot 100, making Brown the first lead male singer to have a debut song top the chart since Diddy in 1997. His second album, Exclusive, also reached double-platinum status. He has since recorded five more albums, with the latest, Royalty, coming out in December 2015. In D.G.I.F.U Brown and Tyga are singing about how people always talk and spred rumors when they don't really know whats going on. Basically they are saying to get the facts straight and mind their own business. People don't know what the two have been through whether it's their personal life or their show business. Don't Get it fucked up. This is all about getting some good head. The term "Disappear like magic" could mean his girl is good at giving very deep falacio to the point that it's all the way in or she swallow!